Discover how we got our start, the awards we’ve won, our leadership team and what it’s like to work at Chisel. 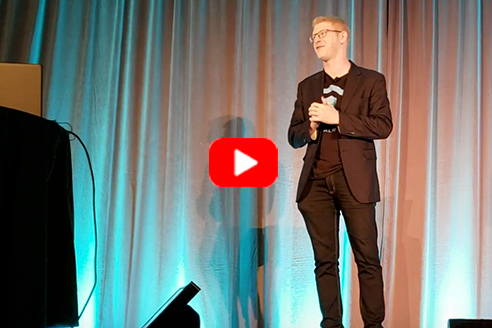 Like many successful start-ups, Chisel AI was founded in a university dorm room. While at the University of Waterloo, our CEO and Founder, Ron Glozman, thought of ways to read and comprehend lengthy texts quickly and effortlessly. He envisioned an app that reduced time spent reading textbooks from days to minutes. Ron was inspired. He developed an app. It read like a human—just 400 times faster. The app became so popular that within months it was a top app on the Google App Store with downloads across 33 countries and 44 universities. This success encouraged Ron to commercialize the app for sectors dealing in high volumes of structured and unstructured data, as well as mundane, time-consuming administrative tasks that could be digitized. 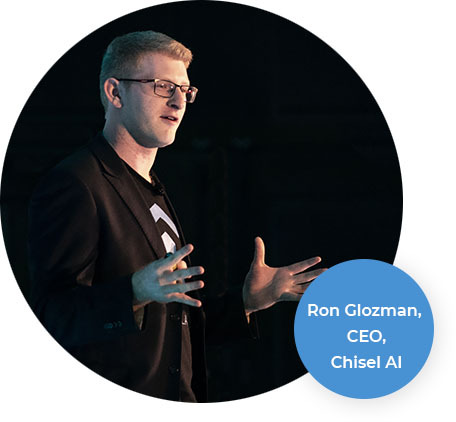 Chisel’s AI platform is the evolution of Ron’s text summarization and redaction app. Today, the company is focused on helping commercial carriers, brokers and reinsurers chisel away at the millions of documents sitting in their data stores and data lakes to gain access to trapped business insights. Chisel’s success and reputation continue to grow. Chisel won the Gold Award at the 2019 Zurich Innovation World Championship. Chisel was crowned the 2018 ACORD InsurTech Innovation Challenge Winner. Check out Ron Glozman, CEO, Chisel presenting at ACORD Connect. Chisel raised a large seed round led by Venrock, a leading Capital Venture firm. We are now taking that capital and investing it in our people and our growth.